Transport for the North’s board met today and agreed with the Department for Transport to an initial package to compensate season ticket holders in the areas of the North that have been worst affected by rail disruption. But board members also called for more to be done to recompense others who have been affected, including regular rail travellers who do not hold season tickets. The Board asked officers to continue work on proposals to compensate regular rail users who do not hold season tickets. Travellers on Northern services on some routes in Lancashire, Cumbria, Liverpool City Region and Greater Manchester have suffered disruption over a long period of time due to delays to improve the line between Manchester and Blackpool and many cancellations and delays following the implementation of a new timetable on 20 May. Weekly, monthly and annual season ticket holders who held tickets for the period affected will receive a refund equivalent to the cost of four weeks’ travel. 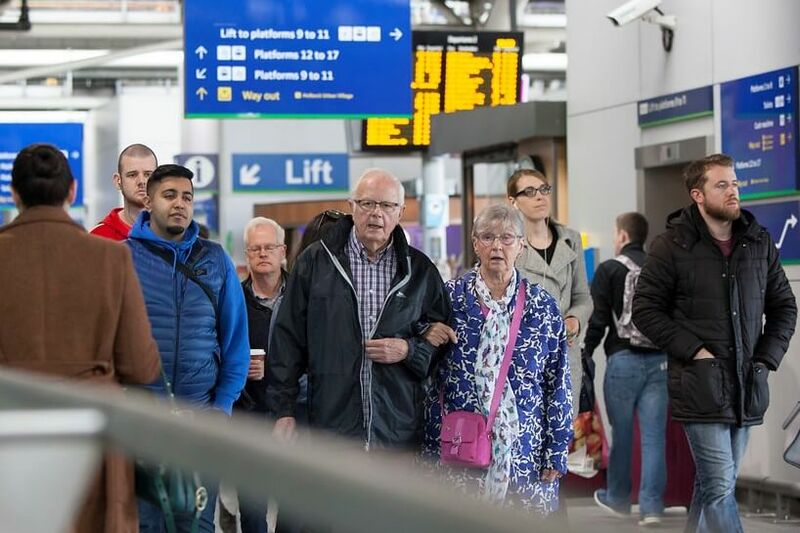 Season ticket holders on both Northern and TransPennine Express services on the worst affected routes elsewhere in the North who have suffered disruption since the introduction of the new May timetable will receive a refund equivalent to a week’s worth of travel. The package agreed at today’s meeting will also include a marketing campaign to promote tourist hotspots such as the Lake District and Blackpool which have been adversely affected by the rail disruption. It is expected that the agreed compensation scheme will be implemented rapidly, following agreement from the Rail North Partnership, and will be delivered directly by the train operating companies. This compensation is on top of the pre-existing delay repay scheme and will also apply to season ticket holders who hold multi-modal travel tickets. Further details will be released by the Train Operating Companies. John Cridland, Chairman of Transport for the North, said, “We know that the past few months have been very frustrating for many northerners, with those who regularly travel by train being heavily affected. The Transport for the North board has been pressing the rail industry to adequately compensate those who have suffered the most. I’m delighted that we are now able to start doing this but there is still more work to be done. Other items discussed at the Transport for the North Board meeting, which was held in public at Manchester Town Hall, included the findings of the public consultation into the draft Strategic Transport Plan, the terms of reference for the Joint Review into the Rail North Partnership and the appointment of Transport for the North vice-chairs. Cllr Ian Gillies of City of York Council and Cllr Samantha Dixon of Cheshire West and Chester Council were elected vice-chairs of Transport for the North. The Review into the Rail North Partnership, which is being co-chaired by Cllr Judith Blake of Leeds City Council and Minister of State for Transport Jo Johnson MP, will be discussed at the next Transport for the North board meeting in September.